After the staggering success of the star “Itzik Dadya” last year, Itzik does not rest! Just two weeks ago he celebrated selling 20,000 copies of his gold album, Am Yisrael Chai with a huge performance in Or Akiva Mann. 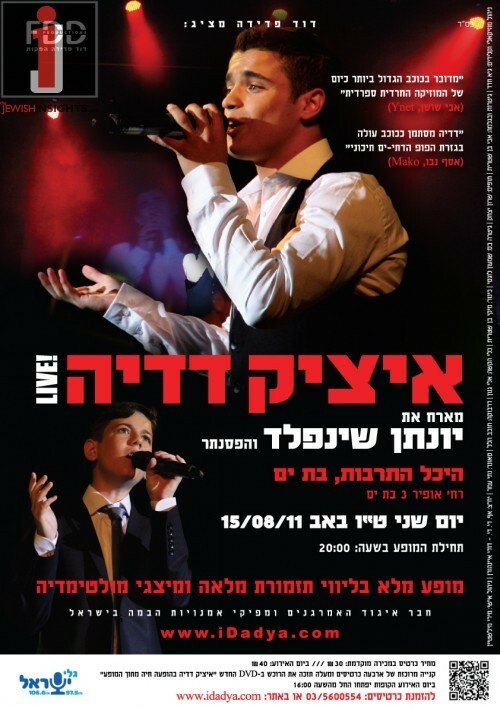 For summer vacation, Itzik began a series of shows where he hosts the wunderkind Yonathan Shainfeld as well as performs much of the show, and more… During performances Itsik reveals two premiere performances of new songs “LaShir MeiHaNeshama” and “Baruch Hashem”. 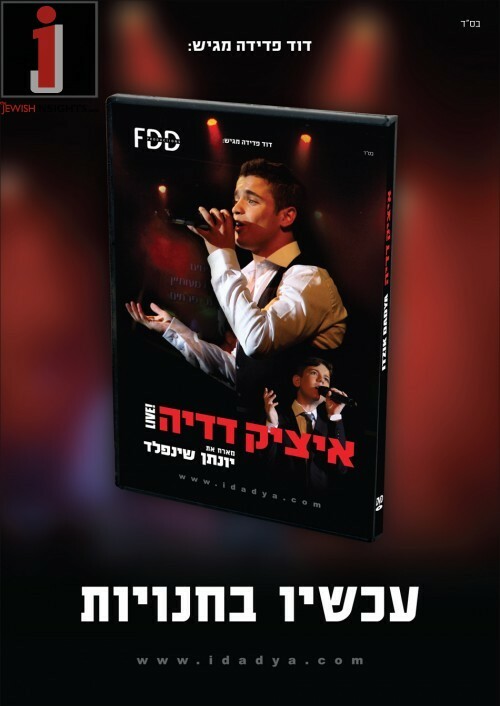 Immediately after Tisha B’Av Itzik will release the new DVD of the show entitled “Itzik Dadya LIVE” it also will be available in stores and on the outskirts of the shows. Tickets for all performances can be ordered through FDD Productions 035 600 554.